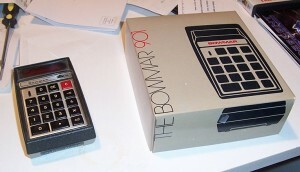 Bowmar became one of the major manufacturers, making calculators for other companies and also selling under its own name. 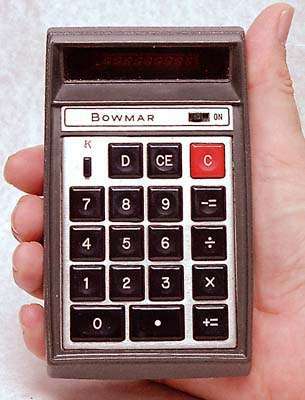 A report from 1974 on the calculator industry says that Bowmar is probably the largest manufacturer of hand-held calculators in the world and during 1971 and 1972 was Texas Intruments’ largest customer for LSI calculator integrated circuits. 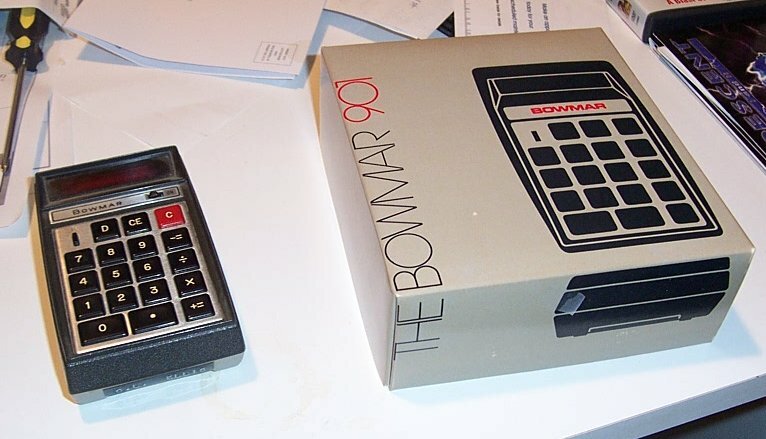 Bowmar’s total sales increased from $3m in 1971 to $64m in 1973, largely as a result of its entry into calculators. It required 6 AA batteries. Retail price of the Bowmar 901B in 1971: $240.00, which would be $1400.00 (!) in today’s dollars.